1. Auction profession training courses shall be organized to provide trainees with basic knowledge about the law on property auction, professional ethics and auctioneer skills, thereby standardizing professional qualifications and ethics of auctioneers. The auction profession training establishment shall organize training courses on a periodical basis or based on practical requirements. 2. Registration to attend training courses shall be made according to enrolment notices of the auction profession training establishment. 3. The Minister of Justice shall approve the framework program for auction profession training courses. An auction profession training course lasts 3 months, including the duration of training at the training establishment and the duration of probation at a professional auction organization. Training at the training establishment covers theoretical lectures and practical skill training, which accounts for half of total training periods. 1. The auction profession training establishment mentioned in Clause 3, Article 6 of Decree No. 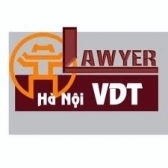 17/2010/ND-CP is the Judicial Academy of the Ministry of Justice. c/ To collect tuition fees from trainees to cover reasonable training expenses. The collection, management and use of tuition fees must comply with law. e/ To send reports on results of auction profession training courses to the Ministry of Justice within 30 days after a course. 1. Persons possessing a university degree in law specified in Clause 2. Article 7 of Decree No. 17/2010/ND-CP are entitled to a reduction of the legal knowledge training duration, which must not exceed one-third of total training periods for legal knowledge under the auction profession training program. 2. The auction profession training establishment may shorten the auction professional training duration pursuant to this Circular, the auction profession training program and its training regulation. 1. The auction profession training establishment shall contact professional auction organizations for admitting trainees for practice, and guide the making of reports on practice results and assess trainees' practice. 2. Property auction service centers and property auction businesses admitting trainees for practice shall create conditions for their practice; permit trainees on practice to attend auctions; and appoint experienced auctioneers to provide practice instructions, supervise and appraise these trainees' practice. 3. Trainees on practice shall obey internal rules and regulations of property auction organizations in which they carry out practice, perform jobs under instructions of auctioneers, and complete and submit reports on practice results to the auction profession training establishment. 1. Professional auction organizations shall register lists of their auctioneers and change or addition of their auctioneers with provincial-level Justice Departments of localities in which they are headquartered: and register lists of auctioneers of their subsidiaries and change or addition of auctioneers with provincial-level Justice Departments of localities in which their subsidiaries are based. c/ Copies of employment or appointment decisions or labor contracts. 2. Within 5 working days after receiving a dossier, the provincial-level Justice Department shall record the dossier in an auctioneer registration, change or addition monitoring book, and notify such in writing to the professional auction organization. 1. Directors of property auction service centers and property auction businesses shall issue auctioneer cards, made according to a set form (not primed herein) and the model card provided by the Ministry of Justice, to auctioneers for use while working for these centers or businesses. 2. Auctioneers shall wear their cards while conducting property auctions. 1. An auction practice certificate holder considered as having his/her certificate revoked for the reason that he/she no longer regularly works at a property auction organization or no longer operates in the field of property auction as specified at Point b. Clause 1. Article 11 of Decree No. 17/2010/ND-CP means that he/she is not salaried or remunerated for one full year of working at a property auction service center or a property auction business. 2. A properly auction organization may not assign an auctioneer from among its auctioneers who has his/her auction practice certificate revoked under Article 11 of Decree No. 17/2010/ND-CP to conduct property auctions, and promptly notify such in writing to the provincial- level Justice Department of the locality in which it is headquartered or in which its subsidiary is based, clearly stating the reason for which this person has his/her certificate revoked, and enclosing papers evidencing such reason (if any). In case another organization or individual detects that an auction practice certificate holder falls into a case subject to certificate revocation, it/he/she shall notify such to the provincial-level Justice Department of the locality in which the properly auction organization managing such person is headquartered. The provincial-level Justice Department shall consider and verify the case for handling according to its competence. Within 7 working days after the provincial-level Justice Department detects that an auction practice certificate holder falls into a case subject to certificate revocation, it shall request in writing the Ministry of Justice to revoke the certificate, enclosing papers evidencing the case. 3. Within 15 working days after receiving a written request of the provincial-level Justice Department, the Minister of Justice shall issue a decision lo revoke the auction practice certificate: for complicated cases, this time limit must not exceed 30 days. In case grounds for certificate revocation are insufficient, the Ministry of Justice shall notify such in writing to related agencies, organizations and individuals. Decisions on revocation of auction practice certificates shall be sent to persons whose certificates are revoked, property auction organizations where these persons work and provincial-level Justice Department of localities in which these organizations are headquartered. 4. Persons whose auction practice certificates are revoked shall return their auction practice certificates and auctioneer cards within 10 working days after decisions on revocation of auction practice certificates take effect. 1. Within 6 months after the effective date of this Circular, persons with auctioneer cards issued under the Government's Decree No. 05/2005/ND-CP of January 18. 2005, on property auction, shall carry out procedures to request the Ministry of Justice to renew their auctioneer cards into auction practice certificates. c/ Two 3 cm x 4 cm photos of the applicant. 2. Within 15 working days after receiving a valid dossier and collecting the prescribed fee for auction practice certificate issuance, the Ministry of Justice shall issue an auction practice certificate to the applicant. In case of refusal, it shall give the reason in writing. Those receiving new auction practice certificates shall return old ones. In case a district-level properly auction council signs a contract with a professional auction organization for designating an auctioneer to conduct a property auction under Point b. Clause 1, Article 21 of Decree No. 17/ 2010/ND-CP, that auctioneer shall conduct such property auction. Upon completion of the auction, the auctioneer shall prepare a contract on purchase and sale of auctioned property and forward il lo the chairman of the district-level property auction council for signing with the property purchaser. 1. Property owners, persons authorized by property owners to sell property. 2. Persons responsible for delivering property for auction who are agencies having decided to confiscate into the state budget material evidence and means used in administrative violations under the law on handling of administrative violations. 3. Agencies, organizations or units assigned to manage the use or assume the prime responsibility for handling state property. 4. Banks or credit institutions, for security property. 5. Civil judgment enforcers or enforcement agencies or other individuals or organizations competent to handle others' property through auctions under law. 1. Property auction businesses may set up their subsidiaries inside or outside provinces or centrally run cities in which they are headquartered. Subsidiaries of property auction businesses may be set up and operate under the law on enterprises and the law on property auction. 2. In case a property auction business sets up its subsidiary in the province or centrally run city in which it is headquartered, within 7 working days after a subsidiary operation registration certificate is issued, it shall notify in writing the setting up of the subsidiary to the provincial-level Justice Department of the locality in which it is headquartered, enclosing a copy of its business registration certificate or its subsidiary's operation registration certificate. In case it sets up a subsidiary in another province or centrally run city, within 7 working days after a subsidiary operation registration certificate is issued, it shall notify in writing the setting up of the subsidiary to the provincial-level Justice Department of the locality in which it is headquartered, enclosing a copy of its business registration certificate and a copy of its subsidiary's operation registration certificate. f/ Full name, place of residence and serial number of the identity card of the head of the subsidiary. 4. For property auction businesses that concurrently function to valuate property, if they or their subsidiaries or their affiliated organizations or economic units in which they hold dominant shares have valuated the to-be-auctioned property, they may not concurrently conduct an auction of such property. 1. The identification of slate property of large value or in complicated cases shall be decided by competent property owner representatives under the law on management and use of state property and the Ministry of Finance's guidance. 2. Case in which it is impossible to hire a professional auction organization means a case in which the time limit for public notification of the hiring of a professional auction organization to conduct a property auction has expired but no organization registers to attend or a bidding has been held but no professional auction organization wins it. The hiring of a professional auction organization to conduct a property auction must be publicly notified at least twice at an interval of 3 days in the central or local mass media to local professional auction organizations. 1. Property auction service centers, property auction businesses and property auction councils shall issue their own property auction regulations in conformity with Decree No. 17/2010/ND-CP; and strictly comply with these regulations in organizing the auction. h/ Other necessary contents relevant to the organization of the property auction. 1. Property auction organizations shall post up information on property auctions under Clause 1. Article 28 of Decree No. 17/2010/ND-CP. 2. For to-be-auctioned real estate, upon posting up auction information in the place in which such real estate exists, the property auction organization shall keep documents and photos on the posting up or make a written record of the posting up and public notification and have it certified by the People's Committee of the ward, commune or township in which the real estate exists. 1. Property auctions shall be conducted according to the property auction procedures specified in Article 34 of Decree No. 17/2010/ ND-CP and property auction regulations issued by property auction organizations. 2. Auctioneers shall announce the bid difference right at the beginning of an auction and may adjust it to suit each round of auction in the course of conducting the auction. 3. For a call auction, the auctioneer shall re­call the reserve price and ask bidders to offer bids starting from the reserve price. After bids are offered, the auctioneer shall vocally, clearly and accurately repeat the highest bid thrice at an interval of about 30 seconds. If no higher bid is offered after three repetitions, the auctioneer shall announce the successful purchaser of the auctioned property. 4. For an auction held through casting bids, the number of rounds and method of casting bids must be agreed upon between the property auction organization or the auctioneer and the person(s) having property put up for auction. In case the method of casting bids through multiple rounds is applied, each bidder shall be distributed a bid card, write his/her offered bid in this card and cast it into a box. After collecting all distributed bid cards, the auctioneer shall announce the highest bid of the bid-casting round without announcing the name of the bidder offering such bid, then distribute bid cards to bidders for offering bids in the next round. The auction finishes when no bidder offers a higher bid. 5. Other forms of auction agreed upon between persons having property put up for auction and property auction organizations must adhere to the principles, order and procedures for property auction specified in Decree No. 17/ 2010/ND-CP and this Circular. 1. Land fund-developing organizations or agencies assigned by competent People's Committees to handle the auction of land use rights shall sign properly auction contracts with professional auction organizations under Clause 2, Article 25 of Decree No. 17/20KVND-CP to conduct the auction of land use rights; collect proceeds from the auction of land use rights from successful purchasers of auctioned property and pay an auction charge to professional auction organizations. b/ Conducting the auction in the order specified in Article 34 of Decree No. 17/2010/ ND-CP and Article 15 of this Circular, and transferring within 3 working days all auction dossiers enclosed with the list of successful purchasers of auctioned property to the land fund-developing organization or the agency assigned by the competent People's Committee to handle the auction of land use rights for completing procedures under the land law. 3. Based on practical conditions of their localities, provincial-level People's Committees shall elaborate and issue regulations on auction of land use rights for the purpose of allocating land liable to land use levy or leasing land in compliance with Decree No. 17/2010/ND-CP, this Circular and the land law. These regulations must clearly define agencies or units assigned to sign contracts on auction of land use rights; agencies or units carrying out procedures to request competent People's Committees to decide on land allocation or lease, and to propose competent slate agencies to issue land use rights certificates under the land law. In case competent local People's Committees assign professional auction organizations to conduct the auction of land use rights, the rights and obligations of related units must be clearly defined in regulations on auction of land use rights for land allocation or lease in their localities. 1. For property that is material evidence or means used in administrative violations, deposits of bidders who refuse to purchase auctioned property under Article 39 of Decree No. 17/2010/ ND-CP will belong to those having property put up for auction that are agencies competent to confiscate material evidence or means used in administrative violations. These amounts shall be managed and used under the Ministry of Finance's guidance. 2. For property to be used for judgment enforcement, deposits of bidders who refuse to purchase auctioned property under Article 39 of Decree No. 17/2010/ND-CP will belong to those having property put up for auction that are civil judgment enforcement agencies competent to handle judgment enforcement property and be used to pay expenses for the handling and auction of such property. These amounts shall be managed and used under the Ministry of Finance's guidance. b/ Book for monitoring to-be-auctioned property, for monitoring types and quantity of property to be auctioned, results of auction, information on successful purchasers and other necessary information, made according to a set form. 2. Books specified in Clause 1 of this Article and job dossiers must be preserved at offices of property auction organizations. The recording and preservation of monitoring books, job dossiers, labor contracts, property auction contracts, auctioned property purchase and sale contracts must comply with the law on labor, the law on property auction and other relevant laws. 1. Drawing up lists of auctioneers of property auction service centers, property auction businesses and their subsidiaries in their respective provinces or centrally run cities, and updating changes or additions to these lists. 2. Coordinating with provincial-level Planning and Investment Departments in reviewing, monitoring and updating information on property auction businesses in their localities. 3. Quarterly notifying and updating lists of property auction service centers, property auction businesses and their subsidiaries, and lists of auctioneers in their respective provinces or centrally run cities on websites of provincial-level People's Committees and their websites for public access. 4. Monitoring auction activities, detecting violations and requesting in writing provincial-level Justice Departments to revoke auction practice certificates under regulations. 5. Assuming the prime responsibility for, and coordinating with provincial-level Planning and Investment Departments and related departments and sectors in. inspecting property auction organizations and activities on a regular or irregular basis in case of necessity or at the request of provincial-level Justice Departments or People's Committees of localities in which property auction organizations are based. Subject to inspection are professional auction organizations, subsidiaries of property auction businesses and property auction councils in localities. The duration and contents of regular inspection must be notified to agencies or organizations to be inspected at least 7 days before the inspection. 6. Performing other tasks specified by law. 1. Biannually and annually, property auction service centers, property auction businesses and district-level People's Committees of localities in which property auction councils are set up shall send regular reports, made according to set forms, on properly auction organizations and activities to provincial-level Justice Departments of localities in which property auction organizations are based. The deadlines for sending regular reports comply with the guidance of the Ministry of Justice and provincial-level Justice Departments. In addition to regular reports, in case of emergency, property auction service centers, property auction businesses and district-level People's Committees of localities in which property auction councils are set up shall send reports on the organization and operation of their centers or businesses at the request of provincial-level Justice Departments or People's Committees or other competent state agencies. 2. Annually, provincial-level Justice Departments shall send reports, made according to a set form, on property auction organizations and activities in their localities to provincial-level People's Committees and the Ministry of Justice. The deadlines for sending regular reports comply with the guidance of provincial-level People's Committees and the Ministry of Justice. In addition to regular reports, in case of emergency, provincial-level Justice Departments shall report on property auction organizations and activities in their localities at the request of provincial-level People's Committees or the Ministry of Justice. 1. Auction councils set up before July 1,2010, which have undertaken to conduct auction of land use rights for a number of specific land lots, carried out the compensation and ground clearance and worked out auction plans approved by competent state agencies before July 1,2010, may continue conducting the auction of such land lots according to the order and procedures specified in the Regulation on auction of land use rights for land allocation with collection of land use levy or land lease, promulgated together with the Prime Minister's Decision No. 216/2005/QD-TTg of August 31, 2005, and the Government's Decree No. 05/2005/ND-CP of January 18, 2005, on property auction. 2. For contracts on authorized property auction performed before July 1, 2010. but remaining uncompleted, remaining jobs under these contracts shall be further performed according to the order and procedures specified in Decree No. 05/2005/ND-CP of January 18, 2005, on property auction. 1. Property auction register (form No. 1). 2. Book for monitoring auctioned property (form No. 02). 3. Receipt (form No. 03). 4. Auction minutes (form No. 04). 5. Application for auction practice certificate (form No. 05). 6. Application for re-issuance of auction practice certificate (form No. 06). 7. Application for renewal of auctioneer card (form No. 07). 8. Auctioneer card (form No. 08). 9. Report of property auction service center or business (form No. 09). 10. Report of district-level People's Committee on property auction organization and activities of district-level property auction councils (form No. 10). 11. Report of property auction council in special cases (form No. 11). 12. Report of provincial-level Justice Department on property auction organizations and activities in locality (form No. 12). 1. This Circular takes effect on January 24, 2011. This Circular replaces the Ministry of Justice's Circular No. 03/2005/TT-BTP of May 4, 2005, guiding a number of provisions of Decree No. 05/2005/ND-CP of January 18, 2005, on property auction. 2. Provincial-level Justice Departments, property auction service centers, property auction businesses, auctioneers and concerned organizations and individuals shall implement this Circular.